Family-based visa petitions and green card applications. Jonathan regularly speaks to audiences around the country on immigration topics such as post-graduation work visa options for students and issues relating to PERM applications/employment-based green cards. He is also the author of numerous articles that have appeared in national publications. 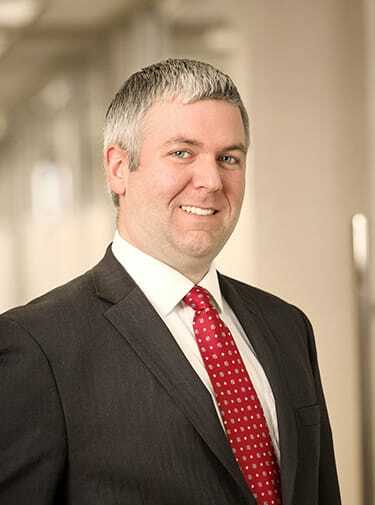 After graduating first in his law school class, Jonathan spent the first two years of his practice representing companies in civil litigation. He now brings these advocacy skills to bear on behalf of clients’ immigration needs. Co-Author, Tricky LCA and PERM Issues for a Mobile Workforce, in IMMIGRATION PRACTICE POINTERS: TIPS FOR HANDLING COMPLEX CASES (AILA 2017-18 ed.). The PERM Appeal File: Foundation for Appellate Success, AILA’s VOICE, July-Aug. 2013. Decoding DOL’s ‘Default’ Prevailing Wage Rate, AILA’s VOICE, May-June 2013. Co-Author, Termination of H-1B Employment: End of the Road?, ILW.com, Oct. 8, 2012. Getting Queued Up: The Nuts and Bolts of “Government Error” Motions, AILA’s VOICE, May-June 2012. Co-Author, How Do You Solve a Problem Like ACWIA? Prevailing Wage Conundrums for Academics and Researchers, in IMMIGRATION OPTIONS FOR ACADEMICS AND RESEARCHERS (AILA 2d ed. 2011). Co-Author, Methodology Chapter, THE DAUBERT COMPENDIUM (DRI) (2011). Particularizing Patent Pleading: Pleading Patent Infringement in a Post-Twombly World, 18 TEX. INTELL. PROP. L.J. 451 (2010). Time for an Upgrade: Amending the Federal Rules of Evidence to Address the Challenges of Electronically Stored Information in Civil Litigation, 50 JURIMETRICS 147 (2010). A Patent Panacea? The Promise of Corbinized Claim Construction, 9 CHI.-KENT J. INTELL. PROP. 1 (2010). “Tricky LCA and PERM Issues for a Mobile Workforce,” AILA Annual Conference, New Orleans, LA (June 22, 2017). “Advanced PERM Hot Topics: Trends, New Regulations, and U.S. Dep’t of Labor Policies,” NAFSA Annual Conference, Los Angeles, CA (May 30, 2017). “Alternatives to H-1Bs: What If No Hs Are Available?,” AILA Midwest Regional Conference, Chicago, IL (Mar. 13, 2017). “Using FOIA to Learn About U.S. Department of Labor Processes,” NAFSA Government Connection, Webinar (Jan. 25, 2017). “Overview of Preference Categories and Introduction to PERM,” 2016 AILA Fundamentals of Immigration Law Conference, Orlando, FL (Dec. 8, 2016). “PERM for Physicians,” Physician Immigration Law Institute, Washington, DC (Dec. 5, 2016). “PERM Best Practices and Hot Topics,” AILA DC Chapter Fall 2016 Conference, Silver Spring, MD (Nov. 16, 2016). “Best Practices in Alien Labor Certification,” Federal Bar Association Immigration Law Conference, New Orleans, LA (May 11, 2016). “H Cap Season is Over, Now What?,” AILA Texas Chapter Spring Conference, Austin, TX (April 15, 2016). “The Immigration Obstacle: Work Visa Options After Graduation,” International Student Leadership Conference, Harrisonburg, VA (Apr. 2, 2016). “OPT Updates and Overview of New STEM OPT Rule,” NAFSA Virginia International Educators Spring Conference, Ashland, VA (Apr. 1, 2016). “Responding to PERM Labor Certification Audits and Denials: Options and Strategies,” NAFSA Region VIII Conference, Washington, DC (Nov. 11, 2015).